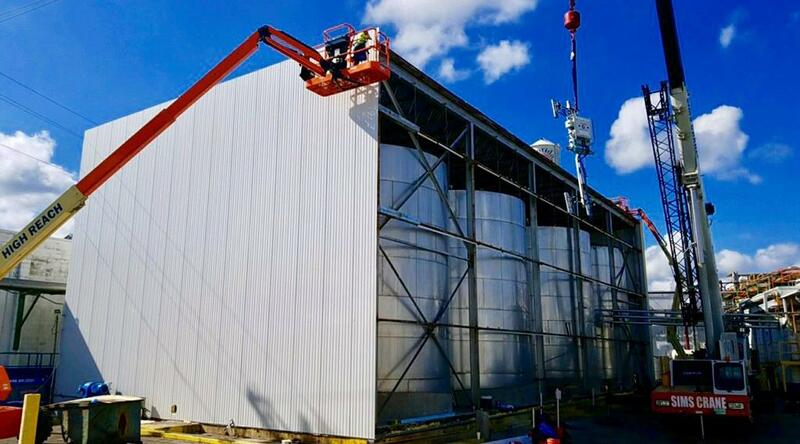 All Temp Tank Farm Repair | Performance Contracting Inc. 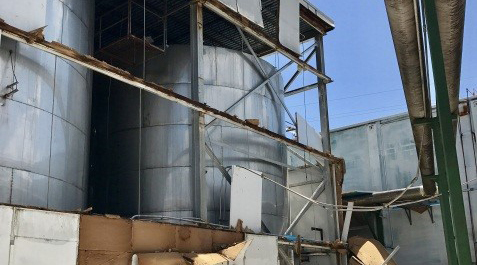 Significant damage to the exterior of the structure caused by Hurricane Irma. Hurricane Irma came through this area as a category 2 hurricane in the early morning hours on Monday, Septemeber 11, 2017. The hurricane made landfall in Florida as a category 4 hurricane and the strongest hurricane to hit Florida in over a decade. 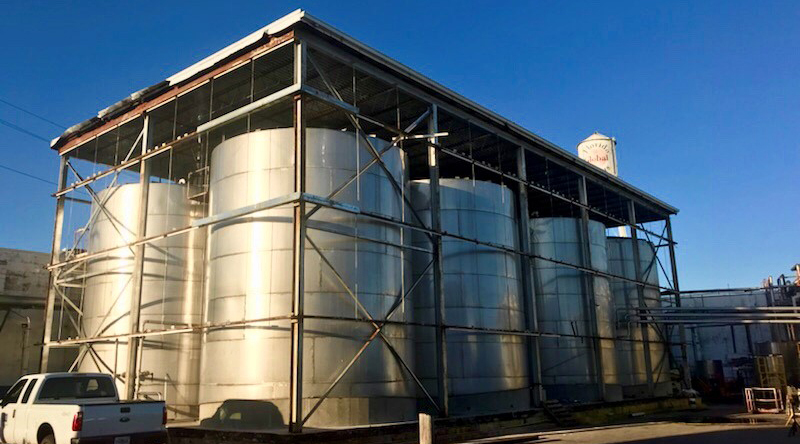 This facility houses approximately 400,000 gallons of orange juice for various manufacturers in the area. PCI is installed new Kingspan 5” Insulated panels for the entire building along with a new TPO roof and vapor seal.